It is Official – This is the Right time to list your home! I thought this was super cute! 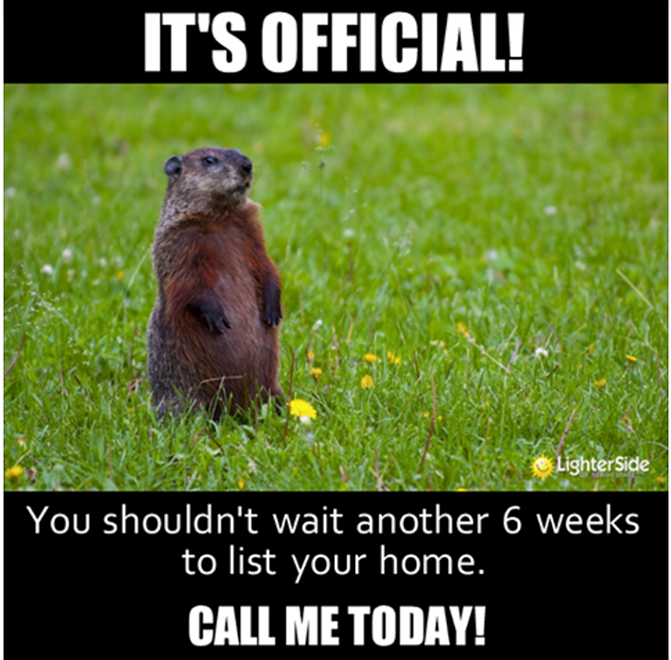 You should not wait to list your home if you are thinking spring is a good time.= to do co. Just think, all those other sellers will be jumping in AND THEN . . . giving you competition. If you list now, or ASAP, you will have less competition and have so much better of a chance at selling your home. Let me help you find out how much your home is worth. Remodeling and Upgrades in many cases will get you a return on your home when it sells – so we think. Sometimes it is not always the case. Some improvements can actually hurt the sale of your home. A Pool – A pool can be controversial. It is often a great thing for one person and not to another. It can be a turn off due to the maintenance and risk of liability. If it is an above ground pool, there is also work in removing it from the property if it is not wanted. Colder climates do not use pools as much and can be a burden making a pool even less of a desire. Combining Bedrooms – Combing bedrooms to get a larger bedroom (and thus eliminating one) can seem like a fabulous idea for some people. This in most cases, this change reduces the value of the home. With an a home value appraisal, the home is being compared to other homes that have sold by certain criteria. One being, number of bedrooms. So basically, have that additional bedroom. Even though maybe small in size, is better to have for value. Converting a Garage – There are many people that do not use their garage to park in. Often times it is for storage, office, workshop, etc . . . If you are going to do a conversion, consider house easy it is turn to back into a garage. I had a client in a town home convert their 3/4 of the garage to an office and play area. They left the doors on and the front few feet were used for storage. When I went to sell the home, they lost about $4000-$5000 in appraised value since it did not conform the the rest of the town homes in the neighborhood because it lost a two car garage. Even though it did have a finished area. Removing a Bathtub – I have been been involved with clients who house flip and one thing I would recommend for reselling is not to remodel the only full bath in the house with a shower. You really want to make sure you consider all buyers, making your buyer pool larger. If you don’t have a tub, then you are highly like not to attract families with children. Also, therefore making it harder to sell and even forcing the price down. 1) TURNING YOUR GARAGE INTO A MAN CAVE – Believe it or not, that awesome hide-away for the kids or the football game can hurt the value if you are loosing your garage. It did happen to one of my sellers in the past. First they took away the garage for more living space (even though they left the door in). This change took away value mostly because it no longer conformed to the neighborhood even though the living space increased. The garage was in the basement and sometimes below grade finished living space does not always get a return on its cost (according to an appraiser I know). This property took a hit on the appraised value and my clients actually had to lower the price for the buyer to cover it. Not to mention the price hit but not having a garage is less attractive to buyers. So so many people want a garage, especially in Pennsylvania. 2) INSTALLING A DECK OR PATIO (This is something that you are better of doing) – If all your neighbors have a deck and you don’t that is typically a reason for the appraiser to give you a hit in value. You don’t confirm to the neighborhood comps. Who does not love outdoor space, anyway? I had a house that had trouble selling and I can tell you a buyer bought the neighbors listing because it was cheaper and had a deck. It was the same square footage. Ouch! 3) DONT REMOVE OR COMBINE BEDROOMS – If you have gone from 4 to 3 and have the same space, keep in mind you would be comparing to 3 bedroom homes which are typically lower in price thus loosing value. Square footage does not always matter. It has been my experience that buyers want a 4 bedroom rather than a 3. Alway keep that extra bedroom if you have it. It will generally give you more value. 4) DONT REMOVE CLOSETS – If you can make more or make a walk-in closet. If you remove a closet, the room may not always be considered a bedroom. Women today have so many clothes, and even some of those men do. Closets are always a perk! 5) REMOVE WALLPAPER – Wallpaper may not decrease the value on an appraisal but it will make the buyers walk 99 percent of the time and the home harder to sell. Wall paper is an immediate check list for work and it is a bear to get off no matter how you do it. It is very hard to change and get to the popular neutral colors . I have literally had people refuse to go into a house because the every wall in the home was wallpapered. There have been sellers that have issued credits to have wallpaper removed and have removed it all. Be wise. 6) POUR A NEW FRONT WALK – I have sold new construction homes and one builder in particular gives the buyer temporary pavers to start for the front walk way. The pavers can look nice if they are cared for. After a couple of years they often need to be reset and adjusted if you are keeping them. I asked an appraiser if the value increased if the seller poured new walk way for $5000. The answer was no. There is still a walk way just made of something else or replaced with different material. If it was a high end finish then maybe an increase in value. Talk to your real estate agent before you do anything major if you are even considering moving. You will be glad you did. Should I Purchase New Appliances Before Listing My House or Offer a Buyer an Allowance? As a listing agent, I help home seller’s with tips with getting their home ready. This can be answered many ways and often times depends on the situation. 1) If your appliances are older and/or are not in style, and not well cared for, this can make a bad impression. As a seller, you can be seen as someone who does not take care of things. A buyer may think “if the seller does not take care of this or that, what else is lacking that I cannot see or did not notice? 2) Replacing the appliances give you more control over the costs. You may find an amazing deal for a new refrigerator. Often times a buyer would want probably an allowance for more than list price or try to get an upper-end appliance out of the deal. Can you blame them? So in replacing an appliance, you are keeping control of the situation. A new or updated appliance gives the buyers more of a value that they can see for the investment. You have heard the term, “Kitchens and bathrooms sell homes.” ? 3) If you replace the appliance(s) then you are causing the home to show better and giving the buyer a chance to see what the appliance is going to look like. This gives it more of a fresh new feeling. Don’t give the buyers a reason to turn away from the deal. 4) When any buyer purchases a home, there are things people have to buy to make things work in the home for them. Also if a buyer has to put appliances on their to buy list, it substantially increases the out of pocket costs after just buying a home. 5) In the Standard Pennsylvania Real Estate Sales Agreement today, the range/oven is a standard inclusion in the home. If you are taking the range, then you have to write in that it is excluded and then this choice sticks out like a sore thumb. 6) Seriously consider trying to at least leave all kitchen appliances. I had a seller that insisted on taking her brand new stainless steel refrigerator. Honestly, I thought that was a selling detraction since the buyers were seeing it and not getting to have it. 7) When I sell “first time home buyers” a home, they often don’t have the extra cash to purchase these appliances, so leaving it will make the home sell better for that type of buyer. Leaving all appliances lets the buyer roll these costs into the mortgage. This question can also be applied to other subjects including flooring More on that another time. 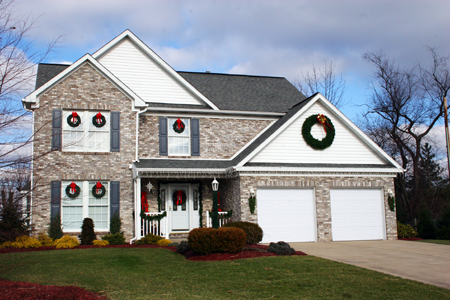 Holiday Time, a Good Time or Bad Time to Sell Your Home? In most cases, you would think that the holiday time is a bad time to sell a home.Â “Sixty percent of real estate professionals advise their sellers to list a home during the holidays because itâ€™s a good time to sell, according to a new survey conducted by Realtor.com.”Â – Daily Real Estate News, December 5, 2011. According to Daily Real Estate News, Almost 80 percent of agents who were survey said that buyer who are out during the holidays are more serious.Â Over 60 percent of agents said that because there are less homes on the market that there is not as much competition for the seller since less homes are generally for sale during that time.Â Â Interestingly enough, almost 20 percent of agents said that the homes felt more cozy due to the cold weather. During the winter season photographs the the property are even more important for the sale of the home according to the interview by Realtor.com.Â Sellers don’t tend to offer open houses as much during the holidays, therefore relying more on the photos and videos.Â This also helps the buyer bypass listings that do don’t interest them. Helpful Tip:Â Find an agent that takes good photographs.Â I am a photographer on the side and I have had many people remark on the photos and how the photos got them to look at the property. The real estate market is still very competitive for sellers.Â Sellers are in stiff competition more than ever with their home on the inside and out. 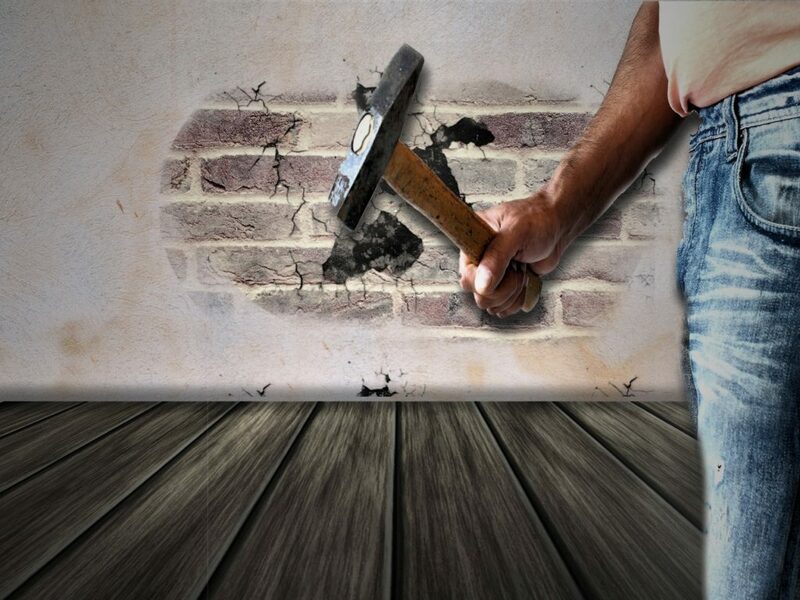 A few home improvement projects will impact buyers. Sellers going to have to spend a little time (and cash) but it will be well worth it. Painting â€“ take the opportunity to brighten up rooms and get rid of those scratches and finger prints and smudges. Use neutral tones. Your buyer is most likely not going to like that red wall (or even the wall paper) . Wall paper is an instant repair list item and instant work. I recently removed a wall paper border in a small bathroom and it was a thorn in my side. Freshen up paint on the outside and especially the front door. It is the first thing the buyers see. I have had buyers that pull up to a house and refuse to go in because the front is not appealing. 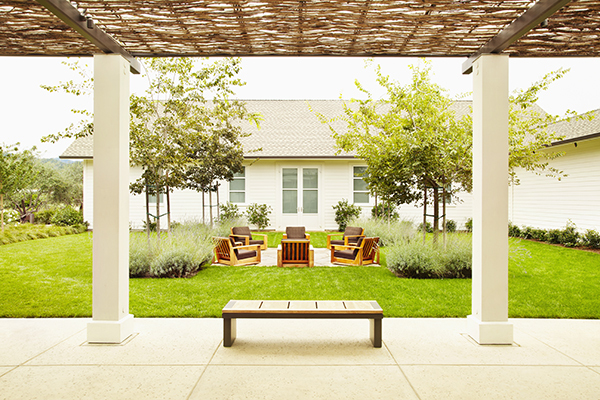 Landscaping â€“ trim the grass, get rid of any weeds, keep the shrubs under control. Low maintenance will be easier on you and the buyers eyes. De-clutter â€“ Clean and de-clutter your home. By doing this, of course, makes it neat but also low stress and makes the home seem cleaner. Get rid of personal photos. Some buyers have a hard time envisioning the homes as theirs with personal photographs around the house. Remove furniture and items that take up a lot of space. Rent a storage unit if you have to. Remember buyers are evaluating the space.Â This week I showed a home that was from another era. Oh, maybe 20-25 years ago. There was stuff in every nook and cranny, plants, knick knacks, etc. . . The whole thing was rather chaotic. The buyer had no interest in the home, even though it was a good bones home. He could not get passed all the personal items and taste specific dÃ©cor. The house really needed a make-over. Minor repairs â€“ Buyers see the details and they can tell when you have a very clean house and all details are taken care of that the other working parts are most like taken care of the same way. Fix the handle on the drawer or that missing little piece of molding, or that stain spot. Staging â€“ talk to your agent about staging. A job well done in this area can set you apart from all the other homes in your neighborhood. “Pennsylvania has just become the 28th state to ban private transfer fees. Gov. Tom Corbett today signed HB 442 into law, becoming Act 8 of 2011. Before choosing to update your home and make it appealing for a sale, a seller should seriously consider if that improvement will re-coup all the costs. Yes, buyers today want updated features, and many do not want to do the work themselves. Most likely if you over do it, you will be loosing money in today’s market. Kitchens and bathrooms are still what attract buyers. So yes, that is where you would want to start. Here are some tips on what to do and not do if you are getting your home ready to sell. Costly professional-grade cook’s appliances should be avoided. If buyer might enjoy the professional grade he might actually prefer a rival brand or maybe the buyer is not a chef. Have your appliances serviced so that they are in excellent working order. 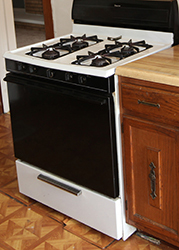 If your appliances are seriously out dated, you may want to consider replacing them. Buyers do love stainless appliances â€“ a great selling point for sure. Many times you can find new appliances on amazing clearances because it is old stock. One time I found an oven at Sears for 90% off. Consider skipping replacing your kitchen cabinets even if slightly outdated. This can be a â€œtaste-specificâ€ issue and very subjective. If you chose light cabinets and they buyer prefers dark wood, then you might loose them over and improvement. Think about refacing the cabinets if they are extremely outdated. You could have a company come in for under $2000 and this is a great investment in comparison to at price new kitchen. Granite and marble should be avoided as a pre-sale upgrade. It is too costly. With so many different options, it will be tricky to find something that will please a large number of buyers. Hiring a professional cleaning company is a wonderful idea. Have you ever had your car detailed. Well detail your kitchen and even the rest house. It will not go unnoticed. Do touch up your the paint on the trim and the walls. Hopefully you still have some left over paint or that swatch to get more. Don’t invest in big ticket â€œtaste specificâ€ items like the kitchen. Skip expensive tub and shower upgrades as they are a matter of taste. Go a ahead and replace dated fixtures in the bath, sink and even lighting. Oh yes, and please get rid of that brown, green or pink toilet. Buyers don’t like to be forced to decorate around the color of the toilet. Another idea is replace your small shower head with a rainwater style to give the shower a spa feel. Do try to brighten up the vanity. It is affordable to add a large mirror and lights. With all the hustle and bustle of life today, a home can easily get cluttered. Things that get can get forgotten sometimes are organizing cabinets, closets, and other storage areas. We just all need to take the time to put things back where they belong. 1) Be realistic by setting goals. If you try to clean up your house in a hour or two that may only cause frustration. Start with one room at a time. 2) Come to terms with possessions that may have an emotional attachment ( a weakness for me ). It could be tough on letting go of some of those family items that have been passed down but other things can be thrown away, donated or sold. 3) Remove the clutter that is out in the open. Try to keep photo displays to a minimum, as well as artwork and knickknacks. If you have heavy curtains, try getting something lighter. 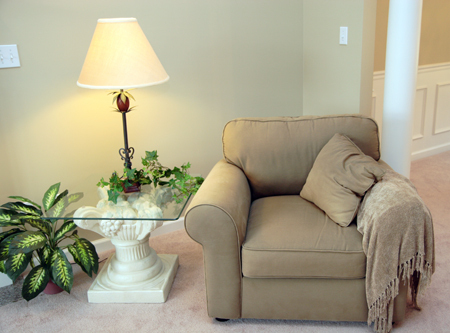 Less clutter will make your rooms feel more spacious and open. 4) Alphabetize your DVDs, CDs and video games. You will thank yourself next time you go looking. 5) Store your seasonal clothing elsewhere when not in season.Â A good rule of thumb is if you haven’t worn it in 6 months donate it or sell it. 6) Control your mail and newspapers. Throw them away as soon as possible. Keep important items in a place that won’t be bothered. I find that I have to grab the bills from my mail immediately, because on a previous occasion, they have gotten to the middle of a pile that got moved to a closet and was never seen again until the late bill came. The number one reason a home sells is for the price.Â Â How can pricing come into play when selling your home? 1)Â Compare other homes in the neighborhood by gathering data on recent homes sold generally in the last 90 to 180 days. 2)Â Consider Short sales and Foreclosures when pricing.Â Sometimes these are sold below market value but can bring comparable prices down. 3)Â Negotiate with Decisiveness.Â Buyers are not interested inÂ negotiations where talks go back and forth.Â Â Â They are more savvy and willing to walk away if things get to picky. 4)Â If your house is not selling it could be the price so know when to drop the price.Â Â Buyers will not even look and even loose interest if the price is too high. Remember your first 30 days on the market are the most critical.Â That is when you home gets the “most” attention because it is a new listing.Â So if you have it priced very competitively and it is a great house, you may command list price.Â I have seen it happen.